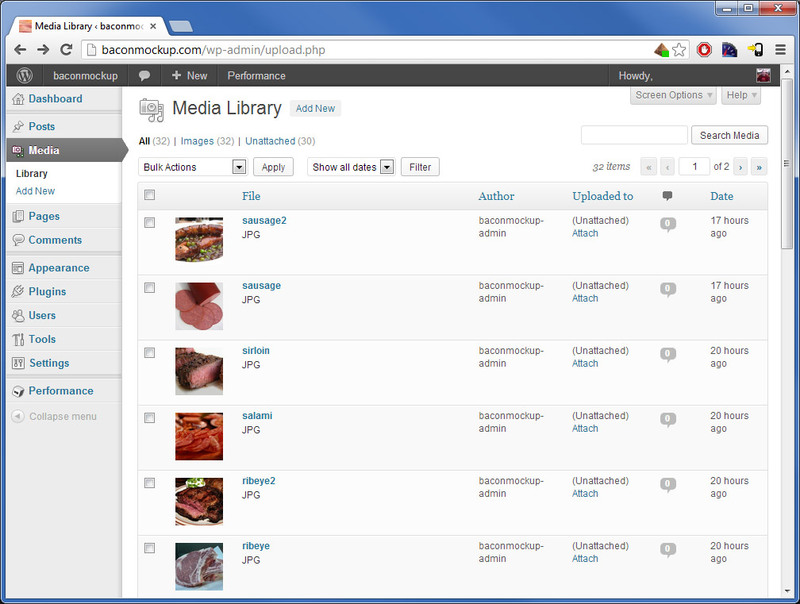 When I first wrote Bacon Mockup, it was done as a standalone PHP site and it’s worked pretty well, but I decided a while back to redo it entirely in WordPress. 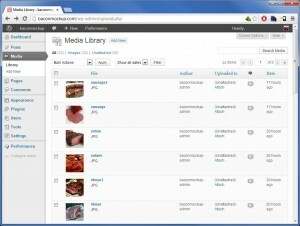 It gives me better management capabilities when it comes to adding new images and content, plus much easier image resizing. The plugin code I wrote that dynamically generates images for specific dimensions from the media library has been added to GitHub and it should be pretty easy to use this to create your own placeholder image site. 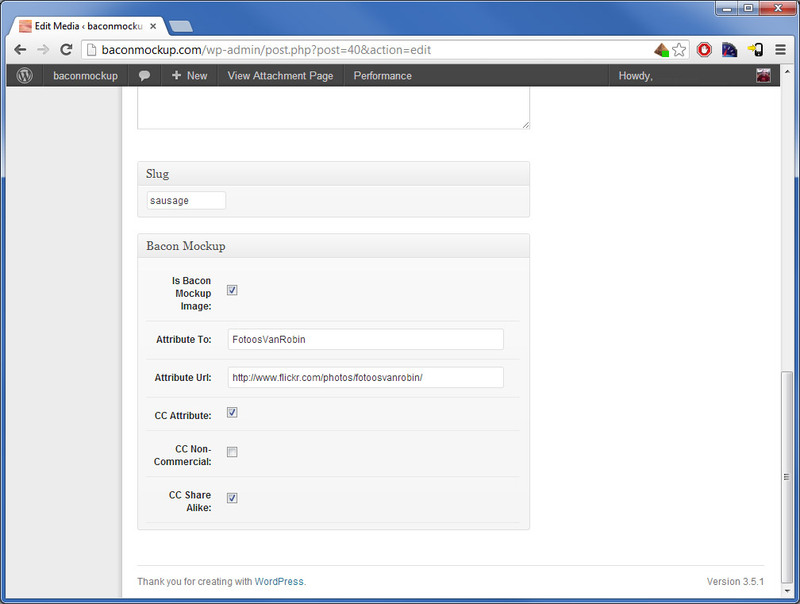 Today, I switched baconmockup.com over to WordPress. Here’s a little sample of what it looks like. All of the placeholder images have been resized to 2048×2048 (WordPress scales down easily, but not so much scaling up) and uploaded into the media library. Using post meta on attachments, I can flag an image to be used by the code that dynamically generates images based on dimensions. The other items are used for Creative Commons attribution. 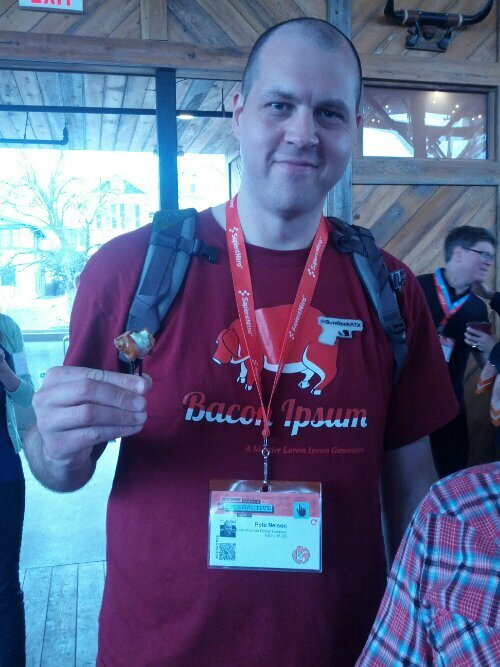 Using a rewrite rule, we pass image dimensions into the plugin (ex: http://baconmockup.com/300/300) It looks for an existing image of that size, and if one doesn’t exist, it gets created on-the-fly using image_make_intermediate_size. It looks like it’s working pretty well so far, but if you run into any issues, please let me know. Thanks and have a meaty day!